What could be better than an evening with Shania Twain? How about two Shania Twains, with glittery pink cowboy hats? 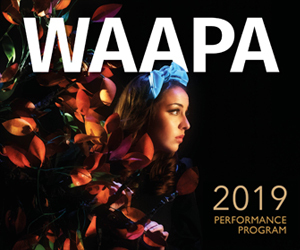 How about a chorus of THIRTEEN Shania Twains – all singing and telling the story of the country-pop icon’s tumultuous career, with multiple costume changes, string accompaniment, choreography, and an Auslan interpreter? This is what we were treated to last night, inside the Fringe World Circus Theatre tent. At this point I must admit I’ve never been the biggest Shania Twain fan. Sure, I’ve busted out “That Don’t Impress Me Much” at karaoke, and sure, I was hi-fiving all round in that episode of Broad City (spoiler alert) when Abbi finally gets to train Shania Twain. But country music rubs me the wrong way, and I get that as an Asian-Australian woman living in the inner suburbs of Perth, it’s not really meant for me anyway. But wow – never in my life did I imagine I would have a Shania Twain-related epiphany like the one I had last night. Musical director Alex Morris’ arrangements were truly stellar. His sixty minute program featured soloists, duets, instrumentation, and rich, sparkling, masterfully-written vocal harmonies in a contemporary a capella style (think Pentatonix). Some highlights were: “From this Moment”, “(If You’re Not In It For Love) I’m Outta Here!”, and “Roll Me on the River”. I went into this show thinking it might be gimmicky – full of irony, perhaps even mocking. I was so wrong. Shania Choir is probably one of the most inspiring, uplifting, and musically dazzling shows you’ll see this Fringe. See them any night this week from Tuesday 30 January to Sunday 3 February. The show on Thursday will have a live Auslan interpreter.